Queen Naija, alias Queen Bulls (born. 17 October 1995 ), is a singer and youtuber. 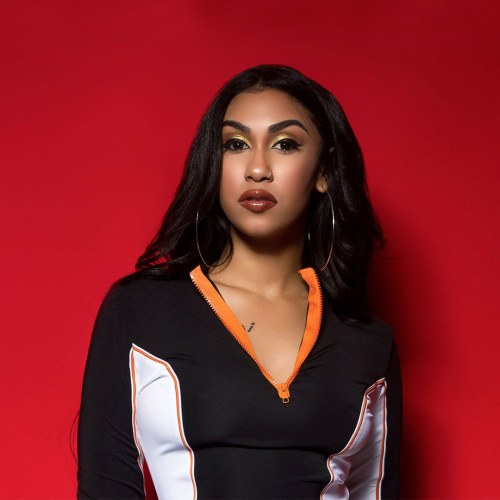 Raised in Ypsilanti, Michigan, R&B vocalist Queen Naija first became known as a contestant on multiple seasons of American Idol in the early 2010s. Following that, she became famous as an internet personality for her YouTube channel Chris & Queen. On the channel, Naija (also known as Queen Sails) and her husband Chris Sails would post various humorous videos with an emphasis on elaborate pranks. At the very end of 2017, amid some serious relationship issues, she decided to focus on her music again. In 2018 she signed a contract with the record label 'Capitol Records', thus starting her solo career. Her debut single, "Medicine", was released in June 2018 and reached 45th place on the Billboard Hot 100. Three weeks later came the second single, "Karma", which came in 63rd position in the standings. An EP titled "Queen" Naija came out on July 27 and debuted in 26th place on the Billboard 200.